It's official: We've moved past the initial jubilation/restrained approval phase of reporting on Osama bin Laden's death, and into the quirky human interest stories. 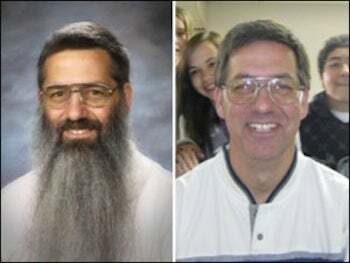 Gary Weddle, a Washington middle school teacher who vowed on 9/11 that he wouldn't shave until we caught Osama bin Laden, broke out the razor last night. At first Weddle figured he'd shave within a few months, but at the beginning of each school year he's been telling his students that his increasingly scraggly beard is a reminder of the attacks. The beard was gone before President Obama made his address. "I spent my first five minutes crying and then I couldn't get it off fast enough," said Weddle.